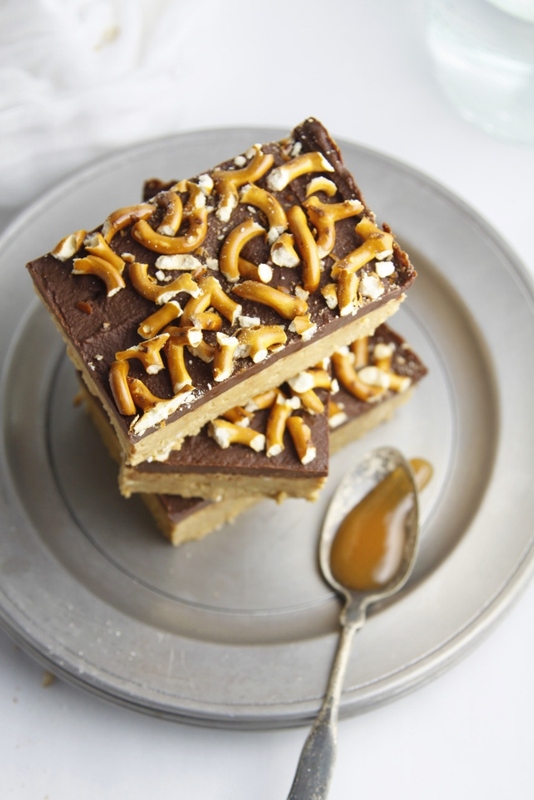 If you’re a fan of sweet and salty then you’re going to love these no bake peanut butter pretzel bar treats. These are easy enough to whip up in about 30 minutes – you know in case you’re craving something besides a cookie OR if you’re still looking for last minute holiday gifts (tell me I’m not the only last minute girl), home-made treats are the way to go. Either way they won’t last long. There are only a few simple ingredients that you probably have in your pantry AND they’re easy enough that the kids can make these themselves with just a little help from the microwave. No bake remember! The main ingredient is of course peanut butter. I used Planter’s peanut butter that we picked up at Target. I’m at Target just about every other day. I should have it listed as much second home. I honestly should have a VIP shopper’s parking space I’m there that much (wink wink). It’s one of my happy places. I love that I can pick up everything from my groceries to make-up to my favorite black long sleeved t-shirts on the planet and YES everything else in between. I also love that I can save money using their red card in addition to finding great coupons. I even have them texted to my mobile. We’re like bff’s texting and all. Speaking of SAVINGS – right now you can save up to $20 on participating Kraft products, only at Target. Seriously looks amazing! I’m litterally drooling over the keyboard. These look delicious, and so easy! Thanks for sharing! 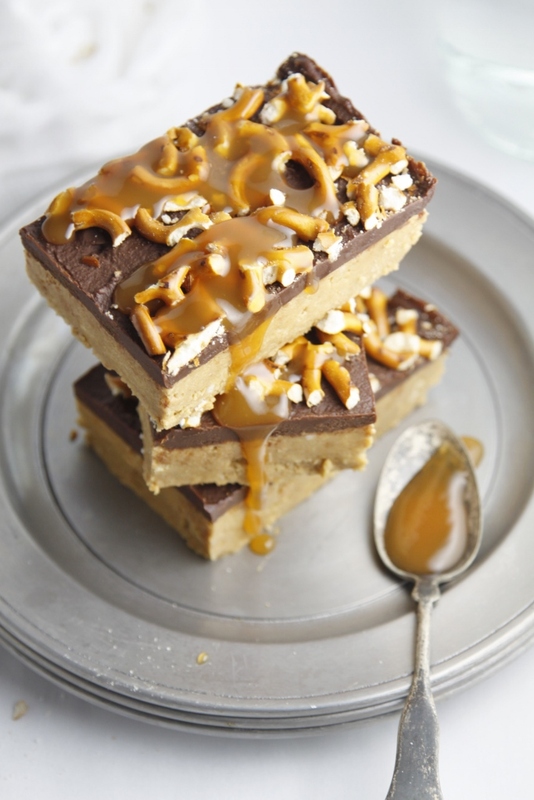 peanut butter pie in bar form, with pretzels? I’ll take the tray ‘mkay? Um, like I said on Instagram… HOLY MOLY. These look amazing. 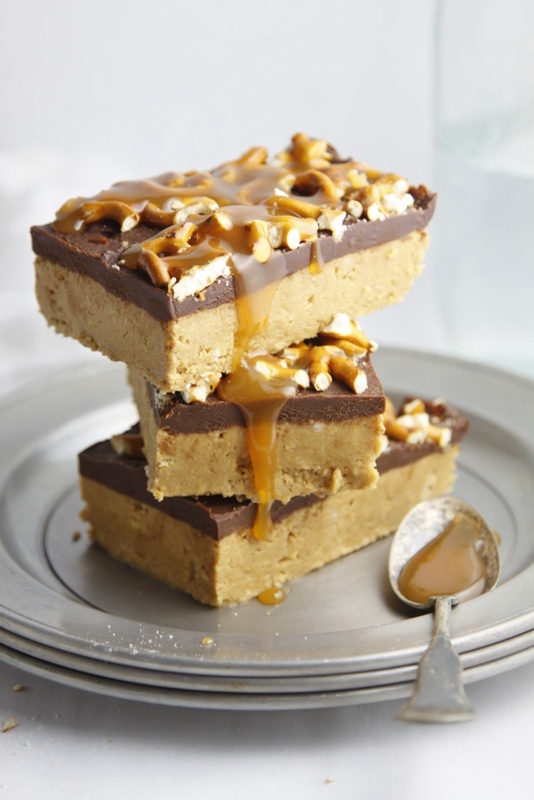 No Bake and Peanut Butter in the same sentence–music to my ears! Amazing! My family would devour these! Thank you Tieghan! Merry Christmas to you! Saw these on FG and couldn’t look away! Love this combo of sweet and salty. Pinning to try soon. I’m trying really hard not to eat this kind of stuff, but now these bars are all that I can think about…so yummy! Wowzers!! These bars look too good to be true!